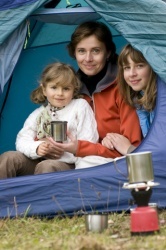 Family camping vacations are one of the best ways to promote family togetherness! We know we have our favorite camping spots! I know when I go camping in new locations I research campgrounds on the internet and choose the one that sound most appealing based on their website, prices, and amenities...but I would really like to hear about these sites from people who have actually stayed there! I am sure you and many others feel the same way! I would love it if you would help me, you, and other camping families out with some of your campground recommendations! Do you have a campground to recommend that you love? We Really Want To Hear About It! Maybe it is one that has great scenic views! Or the staff is so warm and friendly you feel like family! How about a campground that has so many activities available for the kids you almost feel you don't need to go offsite! Whatever it is, we really want to hear about this campground from you...and what it is that makes it so wonderful for you and your family. Please share below the name of the campground, where it is, and some of its great features that made it so enjoyable for you and your family. As this list grows you can come back to find also find great campgrounds that others have recommended. Do you have a favorite campground? One that has great views, good prices, fun activities for the kids, and friendly staff? We want to hear all about it! Nice campsites and an extremely friendly and helpful staff. Made us feel right at home and even gave us some great homemade ice cream! During the summer, we make heavy use of this park for our Voyager Trek program as it's located on the New River. Brown County SP is the closest thing we've found to a real getaway when it comes to camping in Indiana. Playground for the kids right by the water...showers! !